The Tax Cuts and Jobs Act (“TCJA”) introduced a new 20% deduction taking effect in 2018 for noncorporate taxpayers in respect of their qualified business income (“QBI”). Final Regulations addressing the QBI deduction under Section 199A of the Internal Revenue Code (the “Code”) were released on January 1, 2019 (the “Final Regulations”). The following provides a general explanation of the QBI deduction and its basic components. It does not delve into the specifics of computing the deduction or cover every aspect of the deduction. Income earned by a corporation is subject to two levels of tax: one in the hands of the corporation and again in the hands of its individual shareholders when any after-tax income is distributed as dividends. Prior to the TCJA, the corporate income tax rate was 35% and dividends were taxable at a top rate of 23.8%, resulting in a combined total tax rate of about 50% on corporate business income. Contrast this to income earned by a sole proprietorship, partnership, LLC or S corporation (a “pass-through entity” hereafter). The income of a pass-through entity is not taxed at the entity level, but passes through to and is taxed in the hands of its owners. Prior to the TCJA, the top rate on ordinary income was 39.6%, and thus, there could be an approximate 10% tax rate advantage in operating a business as a pass-through entity rather than as a corporation. However, the TCJA included a permanent reduction in the corporate tax rate from 35% to 21%, whereas the TCJA reduced the top individual rate to 37%. Without any further changes, the tax rate advantage in operating a business as a pass-through entity would have been reduced from roughly 10% to less than 3%. The 20% QBI deduction was the TCJA’s answer. By subjecting only 80% of certain pass-through entity income to tax, a significant tax rate advantage for at least certain pass-through entity businesses and owners is preserved. The QBI deduction is available to noncorporate taxpayers, and the “baseline” amount is equal to 20% of QBI, i.e., such taxpayers are subject to tax on only 80% of such income. However, not all income is QBI, and the 20% deduction may be limited or eliminated in the hands of certain taxpayers. In general terms, QBI includes the domestic ordinary trade or business income, net of deductions, of a pass-through entity (including a sole proprietorship). The Final Regulations define “trade or business” by reference to Code Section 162, meaning that the business must be conducted with continuity and regularity and with a primary purpose of earning income or making a profit. Although the activity must amount to a trade or business, there is no requirement that each owner be active in the business to take the QBI deduction. Revenue Procedure 2019-07, released with the Final Regulations, provides a safe harbor under which a rental real estate enterprise will be treated as a trade or business for purposes of the QBI deduction. QBI does not include specified investment-type income (e.g., capital gains and losses, dividends, interest), thus 100% of this type of income will continue to be subject to tax (though perhaps at preferential long-term capital gains rates). Also, QBI does not include wages earned as an employee, reasonable compensation received by a shareholder from his or her S corporation (as required in certain situations) or any guaranteed payments paid to a partner for services rendered to the partnership’s trade or business. Therefore, an individual performing a service as an employee will continue to be taxed on 100% of the employee’s wages whereas another individual performing the same services as an independent contractor (assuming proper classification as an independent contractor for tax purposes) will be taxed on 80% of the independent contractor’s income (unless the limitations discussed below that reduce or eliminate the 20% deduction apply). Two limitations applicable to the baseline 20% QBI deduction apply only to taxpayers whose taxable income from all sources (before any QBI deduction) exceeds a threshold amount (the “Threshold”). Moreover, these limitations apply in their totality only if taxable income equals or exceeds the Threshold by $100,000 for married taxpayers filing jointly or $50,000 for other taxpayers (the “Threshold Plus”). For taxpayers whose taxable income falls between the Threshold and the Threshold Plus, the limitations are phased in. The following table sets out the Threshold and Threshold Plus amounts (the Threshold amount is indexed for inflation after 2018). In addition, another limitation to the QBI deduction is applicable to all taxpayers regardless of the Threshold. the sum of (1) 25% of the W-2 wages with respect to the business plus (2) 2.5% of the unadjusted basis of all qualified property. For a partner or shareholder in a pass-through entity, only the partner’s allocable share of W-2 wages and basis in qualified property is considered. W-2 wages include wages paid to the employees of the business that are reported on a payroll tax return (including elective deferrals into arrangements like 401(k)s). It does not include management fees and fees paid to independent contractors. For purposes of the 2.5% amount, qualified property is any tangible property, (i) subject to depreciation, (ii) held by the business at the end of the year, (iii) used at any time during the year in the production of QBI, and (iv) for which the depreciable period has not ended prior to the end of the year. An asset’s depreciable period for this purpose can be longer than an asset’s depreciable life. The depreciable period begins on the date the property is placed in service and ends on the later of 10 years or the last day of the last full year of the asset’s regular depreciation period. The qualified property is taken into account at its unadjusted basis, meaning the cost of the property not reduced by depreciation deductions. Alternate 1: If George’s taxable income in 2018 had been $350,000 because his wife earned $50,000 in wages, putting him between the Threshold and Threshold Plus amounts, his deduction would be $40,000, plus a portion of the W-2 limitation (i.e., the $20,000 reduction in the baseline deduction) phased out over the $100,000 of taxable income between the Threshold and Threshold Plus amounts. Alternate 2: If George’s taxable income in 2018 had been $300,000 because his wife did not have any income, putting him below the Threshold, he would be able to take the baseline deduction of $60,000. If the taxpayer’s overall taxable income for the year meets or exceeds the Threshold Plus amount, the deduction in respect of SSTB income is zero. High income earners in an SSTB are not allowed any QBI deduction in respect of such SSTB. Technically, in this case, the income from the SSTB does not constitute QBI. If the taxpayer’s overall taxable income for the year does not exceed the Threshold amount, she can deduct the full 20% of her SSTB QBI (the W-2 limitations do not kick in because she does not exceed the Threshold). If the taxpayer’s overall taxable income for the year exceeds the Threshold but is less than the Threshold Plus amount, then (a) the taxpayer is permitted to use only the “applicable percentage” of the SSTB’s QBI, W-2 wages and qualified property for purposes of determining the tentative QBI deduction amounts (the closer taxable income is to the Threshold Plus amount, the lower the applicable percentage), and (b) if the W-2 wages/qualified property amounts are lower than the baseline amount, the reduction to the baseline QBI deduction is phased in over the taxpayer’s income between the Threshold and Threshold Plus amounts. An SSTB includes any trade or business involving the performance of services in the fields of health, law, accounting, actuarial science, performing arts, consulting, athletics, financial services, brokerage services, or any trade or business where the principal asset is the reputation or skill of one or more of its employees or owners (architecture and engineering are specifically excluded from SSTB treatment). An SSTB also includes the performance of services that consist of investing and investment management, trading, or dealing in securities, partnership interests and commodities. The scope of a “business where the principal asset is the reputation or skill of one or more of its employees of owners” had the potential to cast a wide net, but the Final Regulations clarified that this category is quite narrow. It captures only endorsement income, income from licensing or allowing others to use an individual’s image, likeness, name or other items associated with the individual’s identity, and compensation for appearing at an event or in media. Example - SSTB Limitation. Assume the same facts as the previous example except that George is a lawyer and Forms LLC is his law practice. Because the practice of law is an SSTB and George’s taxable income with his wife exceeded the Threshold Plus amount, his 2018 QBI deduction is zero. Because George is between the Threshold and Threshold Plus Amounts, his QBI deduction is not limited to only $26,000, but he also receives a phased-out portion of the $13,000 W-2 limitation ($39,000 - $26,000 = $13,000). Alternate 2: Where George’s taxable income in 2018 was $300,000 and below the Threshold because his wife did not have any income, he is able to take the full baseline deduction of $60,000 notwithstanding that his QBI was from an SSTB. 20% Net Income Limitation. One additional QBI deduction limitation applies regardless of whether taxable income meets the Threshold or Threshold Plus amounts. Once the QBI deduction is determined as described above, it is further limited to an amount equal to 20% of the excess of taxable income minus net capital gain. Thus, if 20% of a taxpayer’s overall taxable income (less capital gain) is less than the QBI deduction as determined under the rules set out above, then the QBI deduction is limited to 20% of taxable income. This might be the case where a taxpayer’s only source of income is his QBI and the standard deduction or other deductions reduce his taxable income, or where a taxpayer has extraordinary deductions that reduce taxable income. Example - Net Income Limitation: Assume the same facts as in the overly simplified SSTB Alternate 2 example above where George’s only source of income in 2018 was his $300,000 QBI. In reality, George and his wife’s taxable income would be below $300,000. Assuming they took the $24,000 standard deduction enacted under the TCJA, their taxable income is $276,000. Since 20% of George’s taxable income ($55,200) is less than the full $60,000 baseline 20% QBI deduction, his 2018 QBI deduction is limited to $55,200. Expires after 2025. Unless later extended or made permanent, the 20% QBI deduction will expire after 2025 (like all other provisions of the TCJA applicable to individuals). Aggregation. When the QBI deduction rules were enacted it was not clear whether related trades or businesses that share resources could be aggregated for purposes of determining the QBI deduction. For example where LLC1 runs a catering business and LLC2 owned by the same people runs a restaurant business, but only LLC2 pays the employees that work in both businesses and owns the equipment used in both businesses. The Final Regulations do permit elective aggregation provided that certain related ownership, related functionality and other requirements are met. Business Divisions. Another area of speculation when the QBI deduction was enacted was whether SSTBs (or other businesses with income that might not be QBI) could separate the tainted portion of the business and create a new entity to house income that might be QBI in order to get the QBI deduction on at least a portion of the income. For example, if the partners of a law firm create New LLC which employs all of the administrative/non-legal staff formerly employed by the firm and charges the law firm for the services of those employees, could the owners of New LLC (i.e., the law firm partners) get the QBI deduction in respect of New LLC’s staffing income? The law practice is an SSTB and if the partners’ incomes are above the Threshold or Threshold Plus amounts, the QBI deduction is limited or lost. However, if the administrative services business of New LLC is not an SSTB, each partner’s share of that income would be eligible for the QBI deduction. The Final Regulations answered that question and quashed the dreams of tax planners across the country. An SSTB includes any business that provides more than 80% of its services or property to an SSTB if there is at least 50% common ownership between them. Thus, in the above hypothetical, New LLC’s business would be an SSTB since it has common ownership with and provides all of its services to the law firm. Need not Itemize. The QBI deduction is a “below the line” deduction (e., it does not reduce adjusted gross income), but is available to taxpayers who itemize their deductions as well as those who claim the standard deduction. Additional Income Eligible for QBI Deduction. A QBI deduction is also permitted in respect of qualified REIT dividends and qualified publicly traded partnership income, and qualified cooperative dividends can affect the amount of the QBI deduction, but those components are all beyond the scope of this discussion. For more information about the Qualified Business Income Deduction, please contact Kristin King. 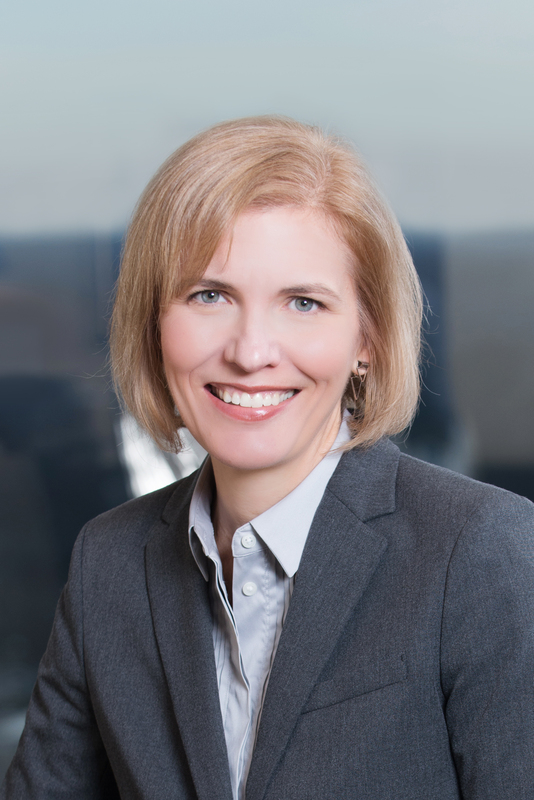 Kristin advises individuals and businesses on a wide range of tax matters. This article is for educational purposes only and is not intended to give, and should be not relied upon for, legal advice in any particular circumstance or fact situation. No action should be taken in reliance upon the information contained in this article without obtaining the advice of an attorney.